February 2017 - RoadSafe Traffic Systems, Inc.
Fredericksburg, Va. – (January 31, 2017) – Following the Senate’s overwhelming 93 to six vote today to approve Elaine Chao as the next Secretary of Transportation, members of the American Traffic Safety Services Association (ATSSA) expressed their excitement, eagerness and commitment to work closely with the new secretary and all members of the department. ATSSA members are responsible for roadway safety features found on America’s roadways, including signs, pavement markings, guardrail, rumble strips, temporary traffic control devices and other lifesaving products. ATSSA also leads the nation in training work zone workers. “ATSSA congratulates Secretary Chao and looks forward to continuing our member’s ongoing efforts with local, state and federal departments of transportation to help improve America’s roadway infrastructure to be the safest, most efficient roadway system in the world,” said ATSSA’s President and CEO Roger Wentz. “All ATSSA members are eager to work with Secretary Chao in the coming months and beyond to implement the current transportation bill which includes the Highway Safety Improvement Program and roadway safety infrastructure improvements in general,” said Wentz. 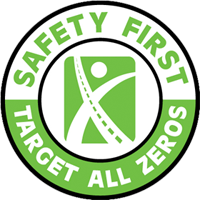 ATSSA’s core purpose is to advance roadway safety. ATSSA represents the roadway safety industry with effective legislative advocacy and a far-reaching member partnership. The association also leads the nation in work zone safety training and education for roadway workers across the country. RoadSafe Traffic Systems, Inc. Acquires Protection Services Inc.
Chicago, IL (November 1, 2016) – RoadSafe Traffic Systems, Inc., a leading provider of traffic safety services and products, today announced the acquisition of Protection Services Inc. (PSI). RoadSafe added over 20 locations and hundreds more of experienced employees into their existing branch network of over 30 locations. This strategic acquisition of a major competitor in the traffic safety industry demonstrates RoadSafe’s strong commitment to excellence, growth and profitability. In addition to an increased workforce and expansive footprint to service new growth initiatives, RoadSafe assumes PSI’s strong market performance in product sales. RoadSafe Traffic Systems, Inc. (www.roadsafetraffic.com) is the nation’s largest provider of traffic safety and pavement marking services and products with branch offices located throughout the United States.